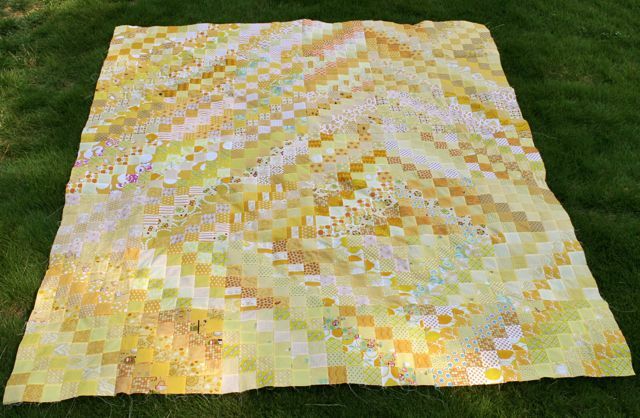 I think the idea to make an all-yellow quilt took root about three years ago, and at last my quilt top is complete. It’s twin-sized, measuring 6 blocks by 7, or roughly 72″ x 84″ or so. I chose to use a “barn raising” setting on this one, with a God’s Eye effect of concentric diamonds working their way out from the lower right corner of the quilt. I looooove it. 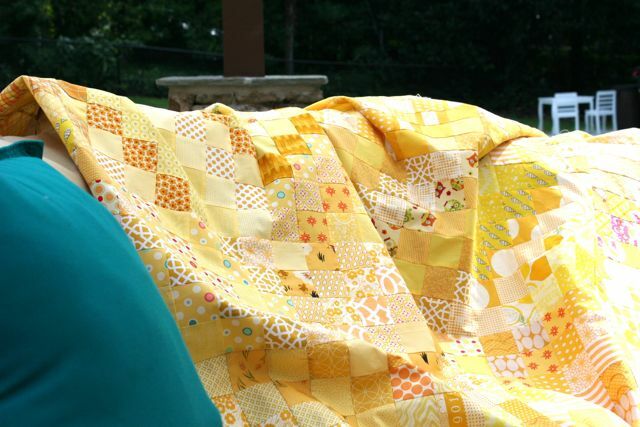 We have these awesome bright yellow chairs on the patio, and this quilt was always intended to be our “summer evening on the deck” quilt. Works perfectly! Planning straight line quilting, but first: gotta run! Pool date with the kids. Labor Day is nearly here and our swimming hours are numbered! OH! That is truly lovely! Thank you so much!! I love it to an unreasonable degree–this will be (yet another) finished quilt that I refuse to share. Sigh. I need a bigger linen closet. SO PRETTY! I love the concentric diamonds. 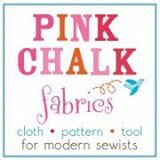 I wish I was a quilter, unfortunately (or fortunately!) the bug has not hit me yet…. Thank you! The diamonds are my favorite part, too. The longer I look at it–and the further back I get–the more they appeal to me. 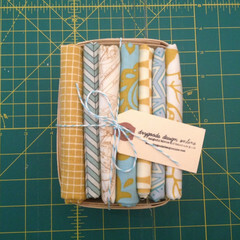 I can’t wait to see it quilted and laid out on a bed! P.S. 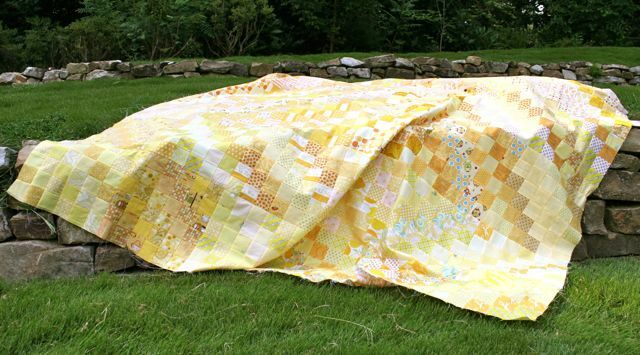 You’re probably dodging a giant stash by not quilting, but it sure is a good way to use up some scraps! But don’t say that to me when I’m knee deep in sewing yo-yos, because I might not think it’s such a great idea then. This is amazing! So gorgeous! It is sunny and bright and warm and inviting! What a joy it will be to wrap up in it during the cold winter days! I love it! Oh, thank you!! I feel the exact same way–I can just imagine myself being cheered by it on cold dreary nights. Yum! So glad you liked it! 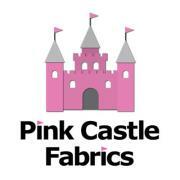 I’ve been image browsing on Google, trolling for ideas for my next quilt. I LOVE this!!!! And I have such a stash of yellows! Or maybe I’ll make it in orange… or blend the two… and then there are the batiks that are piling up… Oh my! 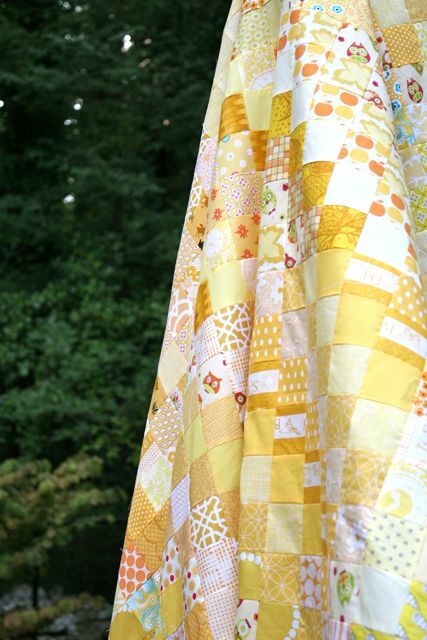 Where can I find the pattern for this quilt? It is beautiful. 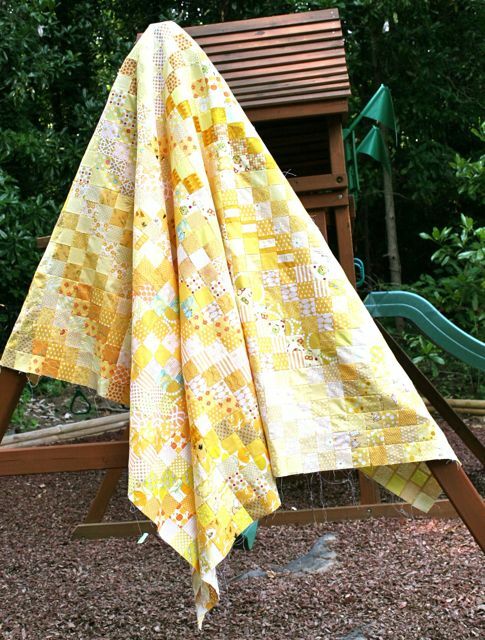 The link is in the blog post above–the pattern is called the Scrappy Trip Around the World from Quiltville, and is a free tutorial on their site! Quick and easy and a little too addictive. I’m a new quilter and I have rarely seen a monochromatic quilt, nevermind one with so many little pieces! 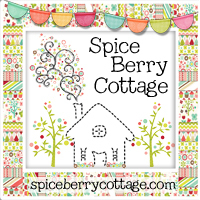 Thank you for showing me that a beautiful quilt can come in just one color! (I particularly like the yellow too!) Out of curiousity, did you use a formal pattern? 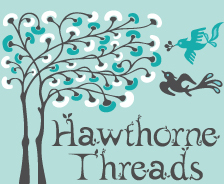 How did you get everything laid out to sew together? (Board/wall/floor, etc…) I’m always curious as to what all the behind the scenes steps are. Sometimes I think, “I could make that!”, but when it comes down to it, projects are so much more time intensive and have more steps than I imagined. Thanks for sharing! It turned out pretty darn good I’m not usually a fan of monochromatic quilts but this one works really well. WELL DONE! Thank you so much!! It’s genuinely one of my favorite quilts I’ve ever made–I’m so glad you liked it!